Muslims Together : Haj Subsidy in India abolished, Muslims welcome it. Haj Subsidy in India abolished, Muslims welcome it. Muslims welcome this move by the Supreme Court. The subsidy issue has been one of the most debated items among the Indians. Good riddance, it is gone. Linked below are the news item and an article from 2006. For the last twenty years, as an activist in the Indian community; starting with the Asian News-Asian American Journal in 1993-2001, Asian News Radio 1996-2001, followed by the Social groups and the Dallas Indians group since 2003, I have witnessed this issue surfacing ever year, no matter where you go on the net, Indians were obsessed with this. It was a fodder for the right wingers (individuals uploaded with hate software), who propagated that the Indian government is giving a hand out to Muslims, it was explained time and again that it was the opposite, but to no avail. I am glad to read the following News Item and I welcome the decision of the Supreme Court of India. It has really helped Muslim from getting screwed. NEW DELHI/LUCKNOW: Majority of Muslim clerics and leaders on Tuesday welcomed the Supreme Court ruling directing the government to eliminate in the next 10 years the subsidy given to Hajis - pilgrims to the holy Makkah. The clerics and leaders said that instead of providing subsidies, the Haj committee, an autonomous body under the Indian government responsible for making arrangement for Haj pilgrimage, should be revamped. The leaders demanded open tendering of tickets which would result in Air India, which at present has the ticketing monopoly, having to compete with other airlines to attract maximum travellers and giving cheaper tickets. "We welcome this ruling. If people from other religions don't get subsidies for pilgrimages, why should we. We all are equal citizens of the country," Mukarram Ahmed, Shahi Imam of Delhi's Fatehpuri Masjid, told IANS. Agreed Shahi Imam of Jama Masjid, Syed Ahmed Bukhari: "It should not take ten years for the ban on subsidy to come into effect but it should be done away with within a year." "The Haj committee should be made more powerful and better services, including cheap tickets, should be offered to those going on the pilgrimage," Vice-chancellor ofDarul Uloom Deoband Mufti Abul Qasim Nomani told IANS. "There should be open tendering of tickets so that there is competition and we get the best deal," he added. Bukhari slammed the present subsidy scheme and accused Air India of overcharging. "Just because they have a monopoly, a Delhi to Jeddah ticket costs us Rs.45,000 whereas Saudi Arabian airlines' ticket costs only Rs.22,000. Where is the money going? ... in the pockets of Air India," said Bukhari. Sunni community leader Haji Khalid Rasheed too said they were demanding for a long time that the subsidy by the union government be withdrawn. "We have asked the government to axe the subsidy and to alternately follow it up with open tendering of air tickets... which would bring down the ticket prices heavily," he said in Lucknow. 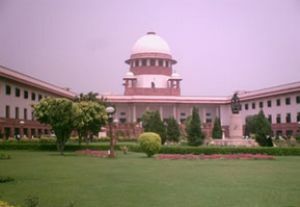 However, some like Shia cleric Kalbe Jawwad of Lucknow said the apex court was "not within its rights to make laws" as it was a custodian of laws and the ruling may hit the poor Muslims who would be deprived of their holy Haj. Agreed Wasim Ahmad, Uttar Pradesh minister for basic education, who said he was "feeling let down" by the ruling. "What can I say on this, it is sad ... but then it is that way that the apex court works," he mused. Many said that if someone is poor and not able to undertake a Haj, there is nothing wrong in it. "A Haj is undertaken only if you have the money, are in good health and have performed all your duties towards your family. Going on a Haj with money you borrowed from someone is absolutely prohibited," said Mukarram Ahmed. "The withdrawal of subsidy won't have any effect on us and we have no objection," he added. When IANS contacted the Haj Committee of India's Delhi office, the officer in charge refused to comment on the ruling. India provides subsidy to over a lakh pilgrims who go to Makkah and Madina annually and spends over Rs.600 crore ($120 million) every year on the pilgrimage. The government provided subsidised air fare to 120,131 pilgrims in 2009, to 126,191 pilgrims in 2010, and 125,051 pilgrims in 2011. A Supreme Court bench headed by Justice Aftab Alam Tuesday directed the government to eliminate the subsidy for Haj pilgrims in the next 10 years. The court also directed that the goodwill delegation sent by the government every year to Makkah should now be scaled down to two from its present strength of 30. I am saving this article for future reference. I have always maintained that 1/10th of 1% of Muslims, Hindus, Christian or Jews are intolerant extremists. Thank God, the 99.90% Hindus or Muslims don't care about, and I hope, sincerly hope you are one of th 99.9%. There are a few more good pieces on the topic, I would like to post here in the archives. Google the words Haj Subsidy and the top three results are from the rabid right wing Muslim-bashers. All the first 30 results are related to India and that means it is a big issue for Indian and Indians. Since, the Haj pilgrimage has just concluded, it is the right time to ask this question, are we really getting a Haj subsidy? First, let us analyze what exactly this so-called Haj subsidy entails. An Indian Muslim, who chooses to go to Haj through government run Haj committees, gets a subsidy of around Rs. 20,000 on their Air India ticket of Rs. 32,000. That is it ! The minimum cost of a Haj package through the Haj committees is around Rs. 92,000, of which Rs. 20,000 is paid by the Indian government to Air India as a subsidy on the Hajis ticket. The total Haj airline ticket subsidy was around Rs. 150 crore for the year 2001 and has been enmarked to Rs. 225 crores for the year 2005. It is interesting to note that the normal ticket to Saudi Arabia costs around Rs. 25,000 but Air India charges Rs. 34,000 from the Hajis. So, effectively the government is giving a subsidy of Rs. 12,000 only !The Sangh Parivar zealots make is sound like that the Indian government sponspors an Annual-Go-To-Haj trip for anyone who is interested. Why this is such a big issue for them? I don’t think the amount involved (Rs. 225 crores) is the itching factor. They are more piqued at the fact that it allows Muslims to go to Mecca and Medina, their holy cities which are outside India, out there is some land called Arabia. The usual argument of these fanatics is that India and India alone should be the pitrabhuumi (fatherland) and punyabhuumi (holyland) of all Indians and since the holy places of Muslims and Christians are elsewhere, they can never be patriotic enough. This argument would have been plain ridiculous had it not been so malevolent. So, what they are trying to say is that a Hindu born and brought up in USA can not be patriotic enough to USA, if he chooses to visit the Somnath mandir in India as a pilgrim. A Swede, who converts to Hinduism, can not be loyal to Sweden if he scouts Mathura and Varanasi in search of spiritual salvation. The patriotism of all Sikhs who visit Nankana sahab in Pakistan is somehow suspect and all Hindus who undergo the arduous Kailash Mansarovar pilgrimage can not be termed Indians anymore because that site is under Chinese dominion. Welcome to Ram Rajya 2.0, as espoused by a few hate mongers. But then, these gentlemen hardly talk or understand a five lettered word, ’sense’. We would let them go for the time being. Coming back to the Haj subsidy, Haj is obligatory only on those who are physically and financially capable of performing the journey. So, all the expenses should be incurred by the Hajis himself and the government should not pay any part of that. Fair enough. But is the government actually providing any financial support to the Hajis? I don’t think so. The government is only subsidising their air tickets because the airlines they are travelling with belongs to the government. In other words it is a discount on an overpriced product. There are many companies that provide discounts to their regular users. What we fail to appreciate is that these Hajis are providing atleast 84 crores as revenue to Air India per year, year after year for the pathetic service they receive in return. Is it merely a rumour that the worst Air India carriers are employed by Air India for the Haj travel? Last year, on its way back, one of the Air India plane broke down. It has to be grounded in Sharjah for a full night. The Hajis were told that they would have to spend the entire night in the plane. Customer service anyone? After protests from the passengers, Air India finally relented and issued boarding passes to the passengers. Which traveller in his right mind would prefer travelling with Air India with so many airlines providing world-class service at comptetitive rates, nowadays? More than 1,20,000 Indians went for Haj in the year 2001. That is a big big number and the that too within a specific time schedule. Out of these, around 50,000 chose to go with private tour operators. Why? Because there are many private tour operators that offer Haj packages for as low as Rs. 68,000, without any government subsidy (yes, the government gives subsidy only on the Air India ticket, not to the Hajis per se). What does that tells us? Let me make a guess, these tour operators are more efficient? So, the goverment of India, in order to cover for their awful management of Air India, to hold on to a constant (and unquestioning) source of revenue (year, after year) want Indian Muslims to believe that it is doing a lot of favour by doling out some subsidy on an overpriced air ticket. That too for its own vote bank politics. Come on ! The consecutive governments in India have only used symbolism in the name of minority policies. Instead of focusing on the real issues, as to why Indian Muslims are at the bottom of the social rung, why the literacy rate of Muslims is the lowest, what are the reasons that Muslims fail to enrol their kids for school, what can be done to utilise the tremendous skills of business and entrepreneurship, all we are given is a pathetic subsidy on an overpriced airline ticket and that too, mainly for its own good. Symbolism sells, in India, it sells big. The fact that it also gives an issue to perennial Muslim-haters like Togadia, Singhal and Giriraj Kishore, is of no concern to it. Afterall, when these people bark, and occasionally bite, which way the terrified Muslim would turn to? Is it just a co-incidence or a well though strategy, that the BJP led government did not abolish the Haj subisidy in its 6 years of power because that would deprive its core Muslim-bashing constituency one of the favourite issues? Even Muslim leaders such asSyed Shahabuddin (not that Siwan hoodlum, but the ex-diplomat) has been demanding for 20 years that the Indian government should do away with the so-called Haj subsidy. He also claims that no Muslim leader ever asked for it. The bottomline is this, Indian Muslims should reject the subsidized Air India ticket, if not for anything else then for common sense only. Once the Haj market opens and this forced monopoly of Air India goes, I would not be surprised if other airlines start offering discounts to the Hajis. Afterall, which company wouldn’t want to tap in an yearly market in excess of Rs. 350 crores, and that too, just for the airfare.